Today the intersection of rue Saint-Honoré and rue de l’Arbre-Sec is part of one of the nicest parts of Paris. There, in the heart of the 1st arrondissement is a little fountain known as Croix-du-Trahoir, the witness of public executions and other atrocities committed from the Middle-Ages until the 18th century. 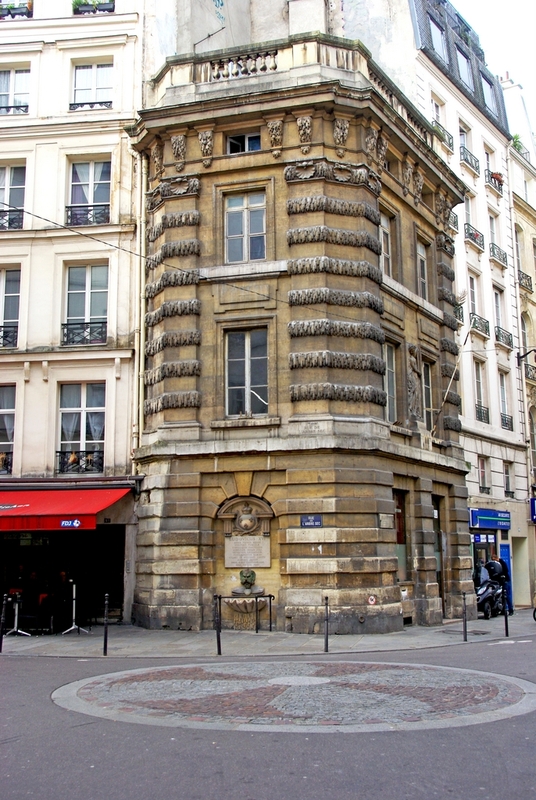 The fountain of the Croix-du-Trahoir is situated in the 1st arrondissement of Paris at the corner of rue Saint-Honoré and rue de l’Arbre-Sec. The presence of a fountain on the site is attested since the Middle-Ages. Situated at a very important intersection in Paris, the fountain owes its name to the fabrics that were pulled out on its steps hence the French word ‘tiroir‘ which became ‘trahoir‘. A fountain was designed by Jean Goujon in 1529 on the initiative of King François I and later rebuilt in 1606. 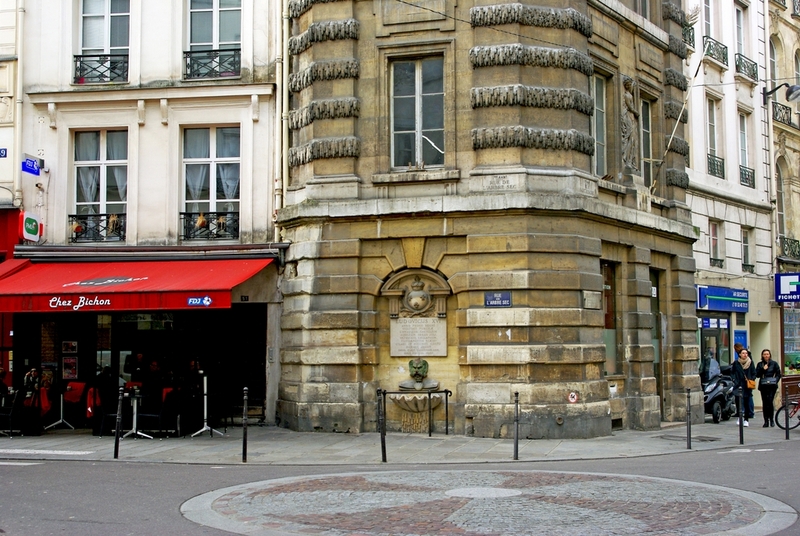 In 1636 the fountain was moved from the centre of the crossroads to the side in order to improve traffic on the rue Saint-Honoré. The current fountain dates back to 1775 and adjoins the wall of a building raised in 1776 by architect Jacques-Germain Soufflot, formerly occupied by the Consulat of Andorra. The square was a witness of public executions until 1698. There counterfeiters were boiled, Lutherans burnt at the stake (21 January 1535) and unworhty servants’ ears cut off until 1739. An ancient calvary cross used to stand next to the fountain for the condemned to make their final prayers. Its foundations of stone and steps were used by butchers and greengrocers to display their produce. The calvary cross was destroyed at the French Revolution in 1789. 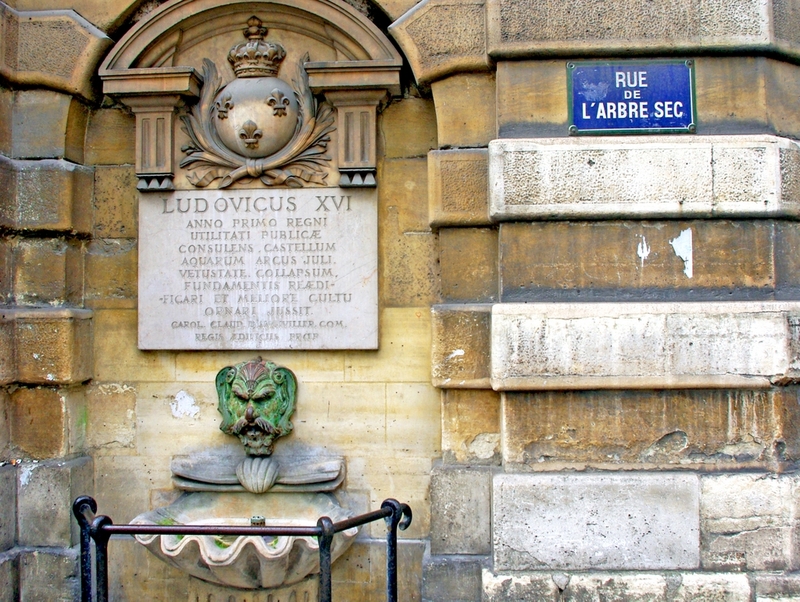 The fountain was mentioned in Victor Hugo’s novel “The hunshback of Notre-Dame” (Book 3, Chapter 2). On 14 May 1610 King Henri IV and his open carriage passed by the fountain a few minutes before he was assassinated by François Ravaillac on rue de la Ferronnerie. The fountain was listed as a historic monument by the French State in 1925.